As a Regional Program Manager, Fernanda Scur facilitates the implementation of PYXERA Global's Global Pro Bono Programs in Latin America since 2011. In this role, she oversees the entire process of a Global Pro Bono program such as scoping potential host organizations, developing project scopes, participant matching, and local consultant management - always pursuing purposeful engagement and the best experience to stakeholders involved, with a focus on the increased social impact of participant organizations. 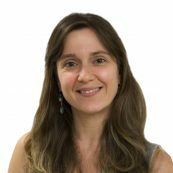 Fernanda has recently completed her PhD in Stakeholder Engagement of Information and Communication Technology for Development projects. She also brings more than 21 years on experience in Project Management, Information Architecture, Usability Analysis and Digital Media Strategies. Fernanda is fluent in English, Portuguese, Spanish, and German.